In New Vienna, capital of the oppressive global government formed after the Flash, three things are certain: the sun is poisonous, speaking out is dangerous, and being different will get you killed.­And Lumina Bohn is extraordinarily different. Living in terror of discovery, Lu knows nothing of her past—but she knows she must pretend to be human to survive. When an incident at work triggers her astonishing powers, she becomes the target of an international manhunt. Only one person can save her: Magnus, the enigmatic stranger haunting her dreams. Magnus rescues the outcasts called Aberrants from capture and torture. As Lu begins exploring her powers among her people, her feelings for Magnus intensify. He’s determined to stay emotionally distant, yet their smoldering passion soon becomes impossible to resist.­But when a shocking revelation threatens the lives of every remaining Aberrant, Lu and Magnus must risk everything, confronting their enemies in an explosive final stand to save . . .
A badass ex-­Special Ops officer and a smartass hacker fight a dangerous enemy…and a blistering attraction to each other. Connor Hughes is an ex-­special ops officer, CEO of Metrix Security, and bonafide badass. His private security firm is renowned for its effectiveness. He’s renowned for his lethal precision and iron self-­control. But when the former Marine meets a gorgeous young hacker with a mouth as smart as her brain, his control unravels in ways he never could have predicted. Tabitha West is a genius MIT dropout with a bad attitude, an obsession with Hello Kitty and piercings in . 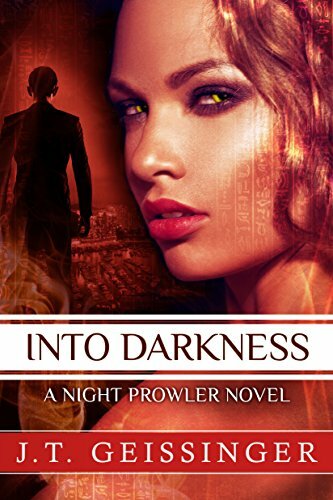 . .
Tough, smart, and seriously ambitious, reporter Jacqueline “Jack” Dolan despises the secretive clan of shape-­shifters known as the Ikati—and has become determined to destroy them. After she writes an editorial arguing for their extermination and turns public opinion against them, the Ikati vow to fight back. They plot to send one of their own to seduce the reporter, then blackmail her into writing a retraction.­Women practically fall at the feet of hulking, handsome Hawk Luna, and Hawk relishes the idea of conquering and destroying the fiery redhead who’s caused so much trouble for his kind. The last thing he expects is to develop real feelings for her, but their liaison awakens a hunger in him that he cannot deny. He kidnaps Jack and brings her to his Amazon jungle colony, but the two lovers are soon embroiled in deadly colony politics and threatened by a looming global species war.­As the danger around them grows closer, Jack and Hawk’s forbidden passion may build a bridge . . . In New Vienna, capital of the oppressive global government formed after the Flash, three things are certain: the sun is poisonous, speaking out is dangerous, and being different will get you killed. And Lumina Bohn is extraordinarily different. Living in terror of discovery, Lu knows nothing of her past—but she knows she must pretend to be human to survive. When an incident at work triggers her astonishing powers, she becomes the target of an international manhunt. Only one person can save her: Magnus, the enigmatic stranger haunting her dreams. Magnus rescues the outcasts called Aberrants from capture and torture. As Lu begins exploring her powers among her people, her feelings for Magnus intensify. He’s determined to stay emotionally distant, yet their smoldering passion soon becomes impossible to resist. But when a shocking revelation threatens the lives of every remaining Aberrant, Lu and Magnus must risk everything, confronting their enemies in an explosive final stand to . . .
Series : Book 2 of "Night Prowler"
Morgan Montgomery is waiting to die. Branded a traitor by her tribe, the Ikati shape-­shifter has no hope for mercy — until Jenna, the Ikati’s newly crowned queen and Morgan’s former ally, offers one last chance for redemption. Morgan must infiltrate the Rome headquarters of the Expurgari, the Ikati’s ancient enemy, to destroy them once and for all. The beautiful renegade has just a fortnight to complete her mission or forfeit her life. But she does not travel alone…Xander Luna is a trained assassin and the Ikati’s most feared enforcer, famed for his swift brutality and stony heart. Fiercely loyal, he is prepared to hate the traitor under his watch — until they come face-­to-­face. For Morgan Montgomery arouses something unexpected inside of him, something that threatens everything he believes in and the fate of the tribe itself: a love as powerful and passionate as it is forbidden.